Tried to dial in to the backup number today only to get a recorded message that it is now closed. Closed on 7th January. When BT's dialup closed they suggested that customers with no alternative migrated to Plusnet's dialup. That option has now also been removed. There is an alternative non-Plusnet number given in the FAQ. EE closed theirs last Oct, which put a lot of ex-customers with Orange Webspace, some foolishly for commercial use, in a hole. There are free dial-up sites out there. Hopefully someone from Plusnet will see this and get the page updated. 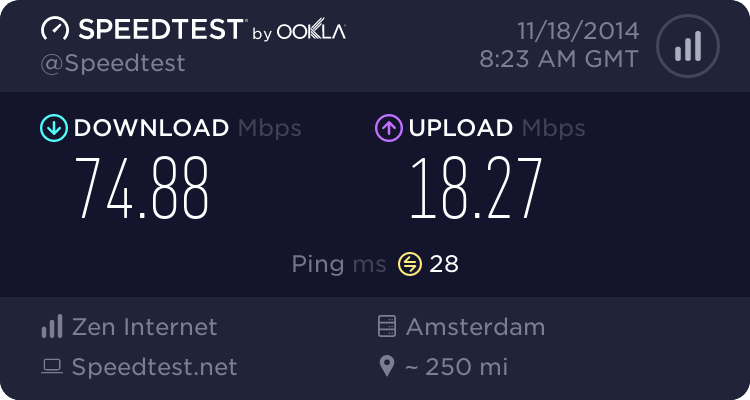 If you need dial up access, I think Banger has the correct idea - though it's hard to Google for a provider when you have no other connectivity. The number of dial up minutes must have undergone a huge drop from a few years ago. Power, rack space and primary rate ISDN service do not come cheap. I expect other providers to discontinue dial up service as time goes on, bearing in mind the miserable revenue level it must generate these days. Dial up is too slow for many tasks, and most people have some form of mobile connectivity. I have Zen FTTC with failover to Three 4G (using my contract mobile broadband SIM). If both those options fail, I can tether a Vodafone 4G mobile. If that fails, I do have an O2 prepay SIM, though that is a last resort that I am unlikely to need. If you have coverage on any of the mobile networks, it's well worth having a USB modem or Wi-Fi hotspot and a suitable SIM to hand. Don't forget that prepay SIMs are eventually disconnected if they are not used for some time.